Cbdisegno product line just got wider: not just furnishing accessories anymore, but also two families of bags. We asked Claudia Bignoli, the architech-Maker who's the mind behind cbdisegno, something more about this choice. Where does the inspiration for this new project come from? Every year, approaching Christmas, I like to make a little collection I call "the useless and meaningless": objects created just for fun, usually fashion accessories which are a bit strange, different from mass-produced products. This year I decided to make something that could be also a bit useful: like bags, which have also a playful and skittish side for us women. After all, as Oscar Wide said, "we live in an age when unnecessary things are our only necessities". 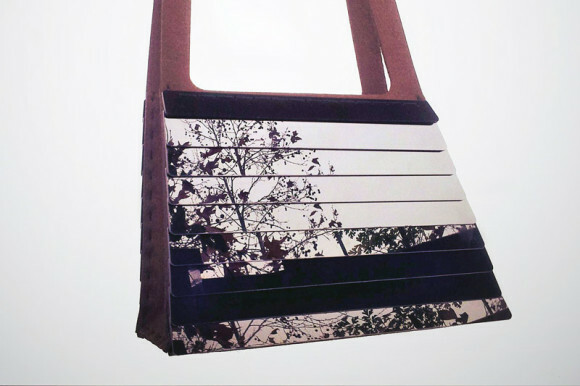 Plexiglas and felt together: why did you decided to make bags this way? I like contrasting materials very much: I always tried to make them "talk" together, both in architecture and in design. I find interesting the effect of a glossy plastic material mixed with a compact and woolly material such as felt. I think they communicate elegance and modernity. Who's the ideal woman for the new Gelosia and Studio bags? For sure a woman ora a girl with a strong character, nonconformist but also a bit dreamy. Someone who loves to look at the world always from new points of view.